Obituary for JC (Grand Pa) Holley | Carter Funeral Homes, Inc.
JC (Grandpa) Holley 79, of Elyria passed away peacefully on January 13, 2019 in the University Hospital EMH, following a short illness. He was born in Alexander City, Ala., coming to Elyria at an early age. Mr. Holley was employed at Republic Steel (aka) LTV Steel of Elyria, retiring after 34 years of service. He attended Original Church of God in Elyria. His hobbies were bowling, fishing, gardening, gaming, sports, and spending time with family and friends. 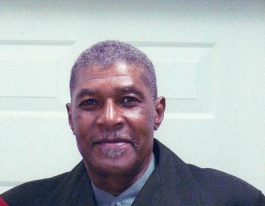 He will be sadly missed by his daughter, Shaunte Holley of Elyria; grandsons, Marcus Copeland of Lorain, Ellis James Wilson and Robert Martin both of Elyria; brothers, Milton Holley of GA., and Felix (Beatrice) Holley of Ala., and a host of nieces, nephews and other relatives. He was preceded in death by his wife of 44 years, Sheila Holley; daughter, Jacqueline Martin; son, Ellis Martin; sisters, Lazora McAfee and Annie Ruth; brother, James. Friends mall call Saturday, January 26, 2019 in the Original Church of God 312 Edward Street, Elyria, Oh., from 10:00am until time of service at 11:00am. Elder Orlando Algood will officiate. Burial will at Rest Haven Memorial Garden, Avon. Funeral services and arrangements have been entrusted to Carter Funeral Homes, Inc., 3001 Elyria Ave., Lorain, OH 44055. Online at carterfuneralhome@yahoo.com.